I would love to say that I “smashed it” but I think it’s possibly closer to the truth to say that it smashed me. At least, that’s what it felt like this week. I’ve had a couple of days where I could barely move my legs and I’ve been hobbling around like an old lady. The conditions on run day were not kind. Not to me, anyway. For a start, it was HOT! After a few weeks of miserable, Autumn/Winter weather the sun finally popped out to say hello at the least convenient time. I know from experience that i don’t cope well with excess heat, so I really struggled with running under the blazing sun. Then there were the small matter of the hills. Or not so small, as the case may be. The course started with almost 3 miles of uphill running. To begin with, I enjoyed the challenge but quickly realised I may have used up my reserves of determination and willpower far too early. The rest of the run felt like it was 60% uphill. Maybe 75%. There were a lot of hills. 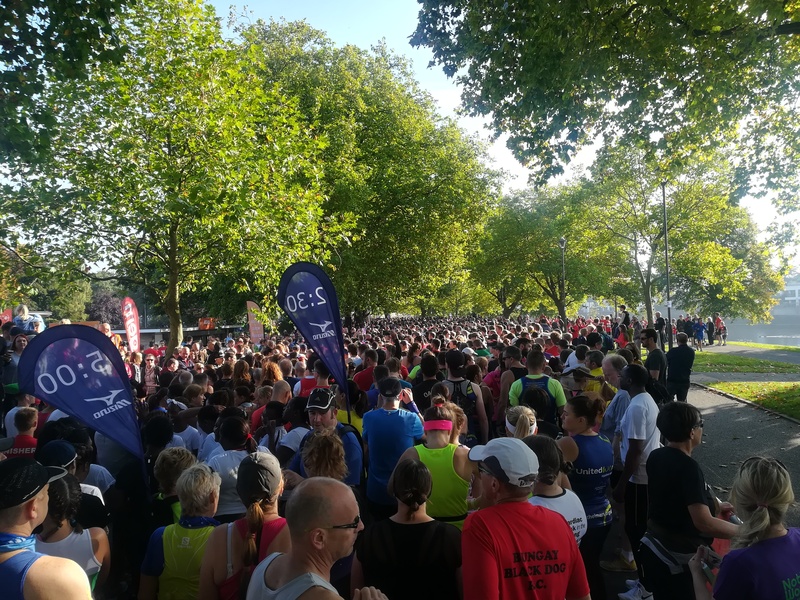 If I had a pound for every time one of the marshals said “This is the last of the hills”and then I saw ANOTHER big hill up ahead, I’d have made my entrance fee back. Liars, the lots of them. My finishing time for the half marathon was 3 hours and 8 minutes. I have to admit, I was a little disappointed. I had hoped to finish a little faster than that. I had hoped to run the whole way, with no walking. More than I anything I had hoped to enjoy it. Sometimes, on a good day, I can forget that running is hard, forget the struggle and the discomfort and just go with the moment. That didn’t happen on race day. There wasn’t a single moment when I wasn’t aware I was running, and that it was hard and that it hurt. And that annoyed me. I had hoped this would light a fire under me and spark a whole new enthusiasm for running. Turns out, it didn’t. When I first started running, about a year ago, I almost fainted after running half a mile. On that day I would never have believed how far I’d go (quite literally). 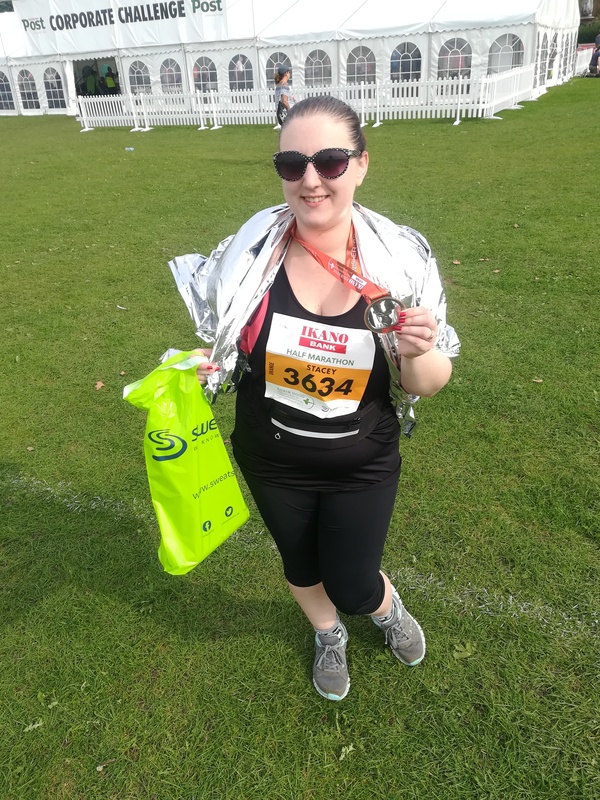 That woman didn’t think she could finish a half marathon. But she did. If the conditions had fallen slightly more in my favour, I might have had a much better experience. I can’t control the elements of the run, but I did give it my best and didn’t give up and that’s all I can expect really. I do have a pretty cool medal to show that I was one of the 6000+ people who ran that day, and nobody needs to know were I fell in that 6000. Best of all, thanks to the support of my lovely friends and family we raised over £200 to send to Mind, the Mental Health Charity, which means that the pain and suffering had a definite positive outcome and hopefully will go a little way to helping others. So, is this the end of my running career? I don’t think so. I don’t think I’ll ever be an enthusiastic or dedicated runner, but I’ve made far too much progress to give up entirely. I may even consider running another half marathon again, one day, when I’ve regained the use of my legs. I’m going to take it easy for a while and see how I feel in the future. 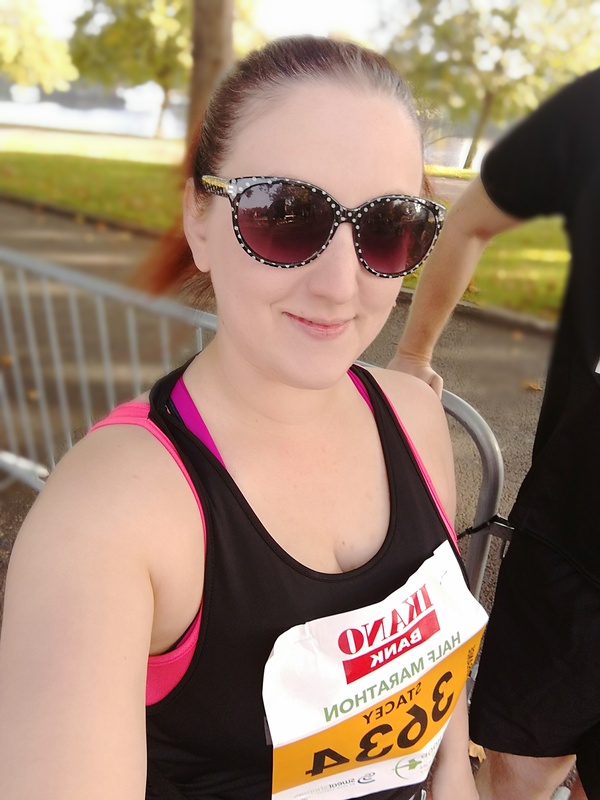 So, what have I learned from running my first half marathon? No food will ever taste sexier than the freebies you are given after you cross the finish line of a big race. We were handed a Boost chocolate bar , Alpen cereal bar and a bottle of Lucozade Sport and I swear I nearly fainted with ecstasy! You can probably never train enough for a big run like this ( I certainly didn’t train enough) but all the training in the world won’t help you if the conditions on the day fall against you. Mr Mess has the patience of a saint because if I’d had to run next to someone moaning as much as I did, I might have stabbed them. Or run off and left them in the dust. Thank you to everyone who supported me with kind, encouraging words or by donating to my chosen charity, Mind. Thinking of all the support I had from friends and family kept me going when the going got tough. 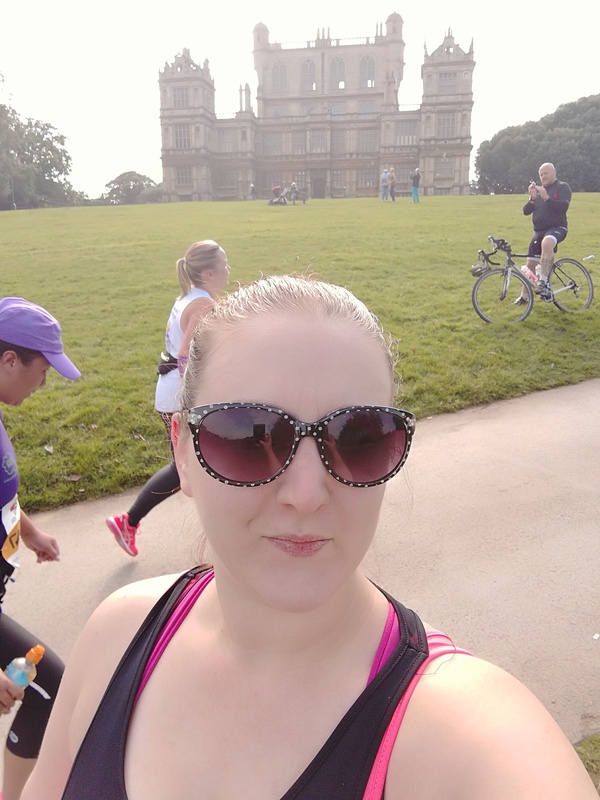 This entry was posted in Lifestyle and tagged challenge, dear diary, half marathon, mental health, running.